HTC Merge users on US Cellular, your day has come. 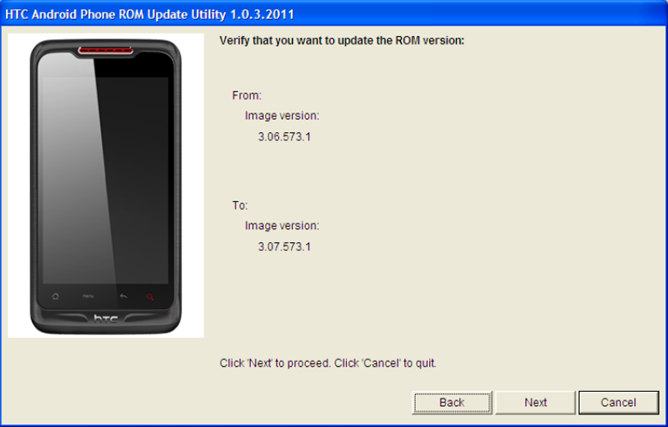 Forget about Froyo, aka Android 2.2, and zoom straight to the latest version of Android available for non-Nexus phones - 2.3.4 "Gingerbread" (HTC version 3.10.573.1 to be exact - the image below taken from the update guide is outdated). The update will need to be applied on a computer using HTC Sync and will wipe your device clean of emails, contacts, calendars, apps, bookmarks, and any other personalization - it'll basically be back to stock. Pictures, movies, music, and everything on your SD card should remain intact, but you'll have to set up your Merge from scratch once the update has been completed. Sorry, no OTA update will be provided - you *have* to use a computer. Actively manage your device's performance and achieve the best possible battery life with improved power management features. Enjoy a refined user interface that includes updated menus and settings that allow you to navigate your device with more speed and simplicity. Check and manage application activity quickly with new shortcuts and easy-to-read displays of running apps and the memory they are consuming. The improved text interface allows you to copy numbers, addresses, URLs and much more, then paste them anywhere quickly and easily. 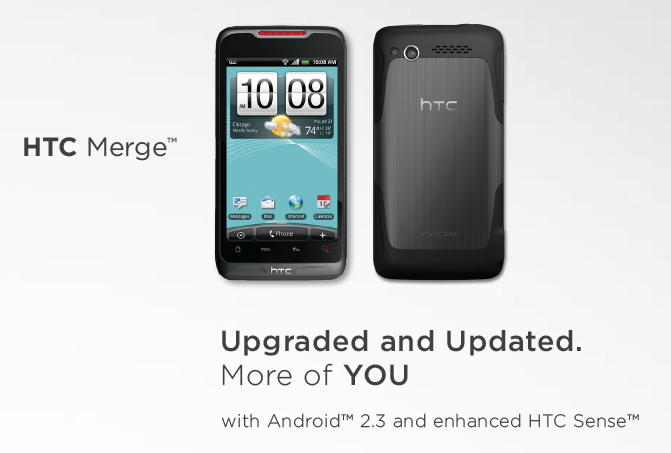 Surely, the list is way too small - there are many other improvements US Cellular and HTC didn't address there. 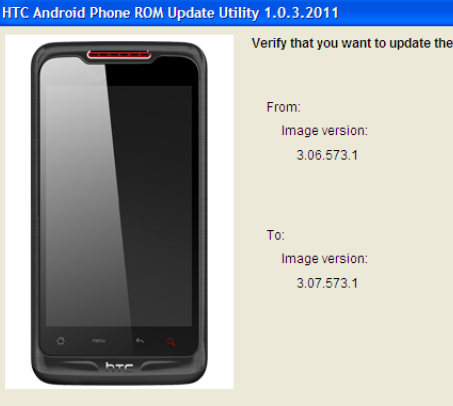 Check out the detailed upgrade instructions, the What's New document, and then download HTC Sync and your 269MB update from here. Editorial: Was Google's Purchase Of Motorola More About Damage Control Than Patent Woes?